Iran is in Pool B with Poland, Russia and the US. Previously Iran defeated twice Olympic champion Russia on home soil but lost both games to Poland early June in Czestochowa, Poland. 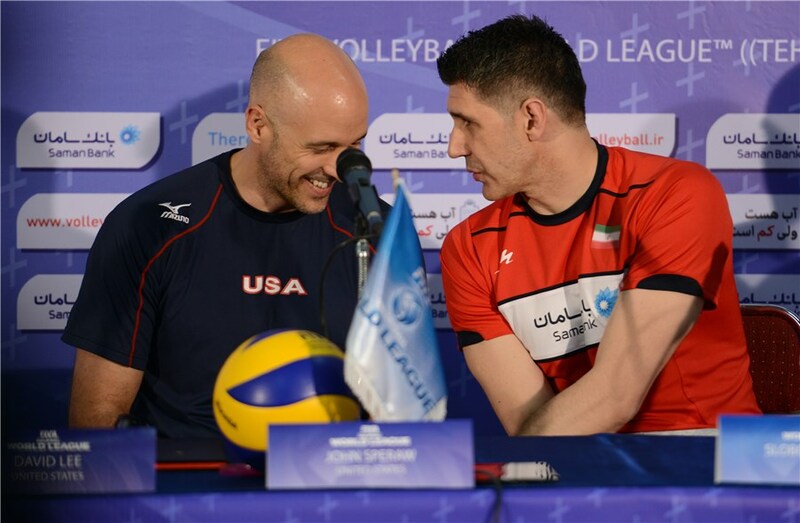 At the 2014 World League Iran finished on 4th place behind USA, Brazil and Italy. This entry was posted in Sports and tagged Iran, Photos, sports, USA, Volleyball on June 19, 2015 by socialinform. Iran mantained its undefeated record in the 5th FINA World Water Polo Development Trophy with a 13-5 win over powerhouse Uruguay in the final match. In front of cheering crowd, team Melli won its second water polo gold medal in the nation’s history after 41 years. Iran had claimed the gold medal in the 1974 Asian Games in Tehran. On its way to the final, Iran defeated Tunisia, Indonesia, Guatemala and Austria. Launched in 2007, the FINA Water Polo Development Trophy gathers teams from nations in Africa, the Americas and Asia where it is still not a major sport, seeking to develop water polo on a global level. the first team in history to capture the championship. Iran and Korea qualify for the FIVB Volleyball Men’s U23 World Championship in Dubai, UAE, from August 24-31, 2015. 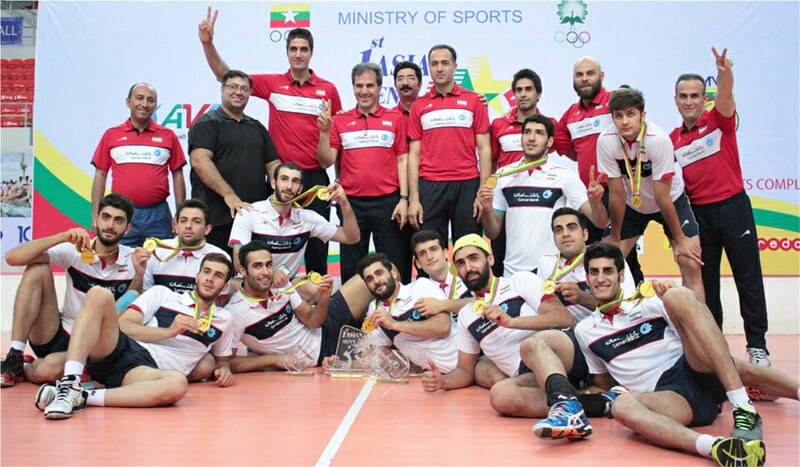 It was another remarkable success for Iran, who have made a clean sweep of all the Asian men’s age group titles, also including the Asian Youth Boys’ U18 Championship in Colombo, Sri Lanka in 2014, the Asian Men’s Junior U20 Championship in Manama, Bahrain in 2014 and the Asian Senior Men’s Championship in Dubai, the UAE in 2013. Iran took the men’s overall title with three gold medals and one bronze for a total of 65 points, followed by Russia and Uzbekistan at the 2015 WTF World Taekwondo Championships in Chelyabinsk, Russia. In the men’s -58kg category Farzan Ashourzadeh Fallah known as “The Tsunami” won gold over Belgium’s Si Mohammed Ketbi in the final showdown.In the men’s -80kg division, Iranian Mahdi Khodabakhshi took the gold. In the male -63kg category Iran’s Abolfazi Yaghoubi Jouybar won bronze. Iran’s Bijan Moghanlou was selected as the best male team coach. Kimia Alizadeh ist the first Iranian woman to win a medal at the World Taekwondo Championships. Alizadeh defeated Olympic gold medal winner Jade Jones 10-9 in the quarterfinals round but lost to Mayu Hamada from Japan 5-3 in the semifinals and claimed the bronze medal. This entry was posted in Sports and tagged Awards, Iran, sports, Taekwondo, Volleyball, Water polo, women on May 29, 2015 by socialinform. Iran has pulled off a stunning straight-sets victory over China to take gold at the 17th Asian U20 Men’s Volleyball Championships in Bahrain. A match billed as a clash of the Asian junior titans became a volleyball clinic, with Iran strolling to its fifth Asian U20 title, all achieved in the past nine championships. Zhejia Zhang, the Chinese blocking machine later named the tournament’s best middle blocker, managed just one for the night. Runtao Xia, later to be named best outside spiker, was restricted to just seven points. It was a powerful display by Iran, and guarantees Asia will be well served at next year’s U23 World Championships in Mexico. “In 2007 I was with the Iran youth team when we won the gold medal, and I hope next year we can repeat history and win another gold medal,” coach Farhad said. This entry was posted in Sports and tagged Asian Tournaments, Awards, sports, Volleyball, Youth on October 27, 2014 by socialinform.